At Market Elite we are constantly looking for and developing new talent. Whether you’re a well-seasoned real estate veteran or a new licensee just getting started our program will help you to develop your business and take it to the next level. We believe in providing our team with the tools needed to service their clients with the utmost level of professionalism and efficiency. Our business model is based on unmatched customer service and agent support! Our comprehensive lead program will allow you to walk in the door and hit the ground running regardless of your experience level. 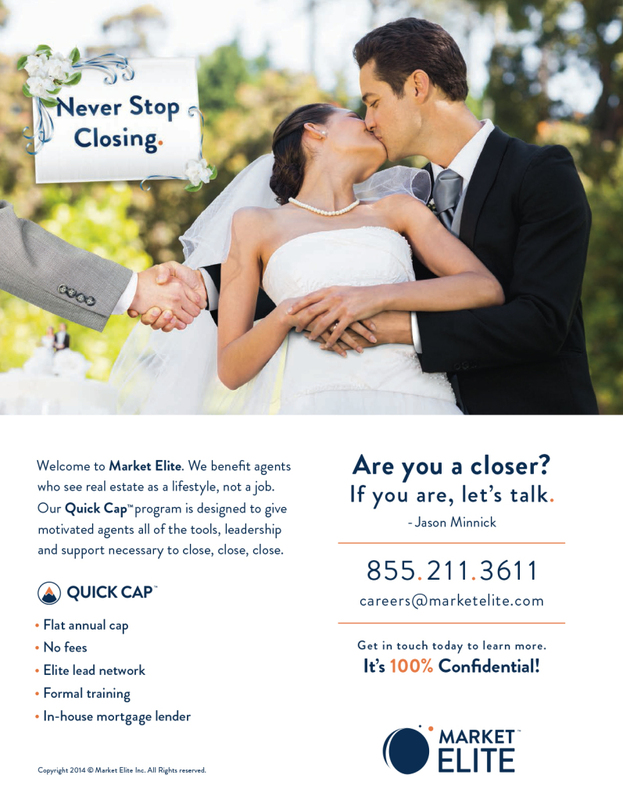 Our philosophy is simple: we cannot be successful without agents who succeed. It is our mission to help you succeed! 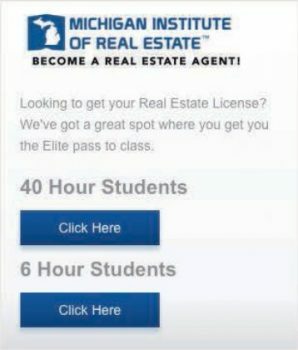 Thinking a career in real estate might be right for you? Looking for a change and new opportunities? Our business is growing, is yours? Contact us today to discuss your future in real estate!